Don't just work at a job. 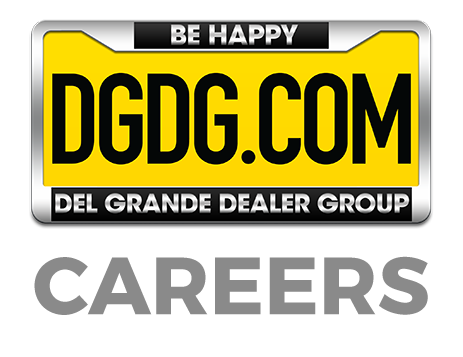 It takes a great team of professionals to keep the DGDG business engine running smoothly. From accounting, finance, training and human resources, to technology, marketing and advertising, we have several career opportunities for those who make things happen behind the scenes. You will be responsible for taking photos of cars for our online inventory and for other various marketing activities. This position requires a sophisticated visual aesthetic, strong editing skills, and the ability to collaborate with other editors and team members to create images reflective of the Del Grande Dealer Group photographic standards. This person should be comfortable with editing a large amount of photos daily. They will also be responsible for maintaining an effective photo editing process that ensures accurate and timely completion of requested work. As a Photo Coordinator, you will be responsible for moving vehicles for the Photo Team to shoot them. You will also help ensure all cars are logged and returned to the correct dealership. The Photo Coordinator will also help with taking photos of vehicles, editing, and uploading them to the internet. 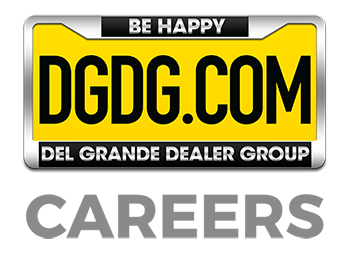 Contributes to the DGDG – Del Grande Dealer Group Video strategy. Shoot, edit, upload and create unique DGDG* video content. The Graphic Designer is responsible for creating visual assets for both print and digital mediums. This role involves a great understanding of design fundamentals and attention to detail. The designer must be able to communicate clearly and provide strategic reasoning behind their design to the marketing directors and other stakeholders. The designer works with both text and images with specific guidelines to maintain branding compliance from OEM Manufacturers. The Digital Account Manager is responsible for maintaining client relations and ensuring marketing objectives are met. The Digital Account Manager can understand client objectives and help put together a digital marketing plan that will help meet the goals of the client by using the team, resources and products available.